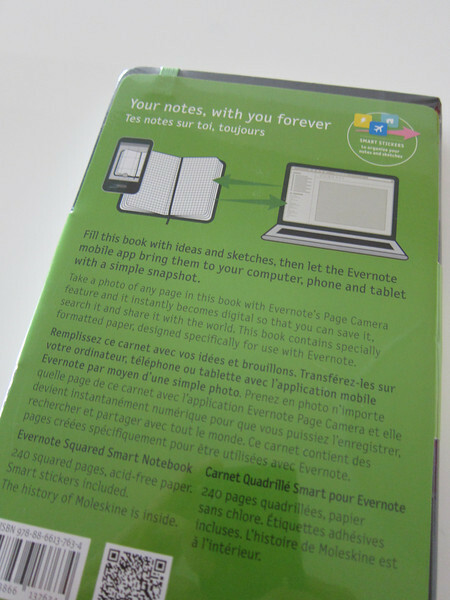 Evernote Smart Notebook. 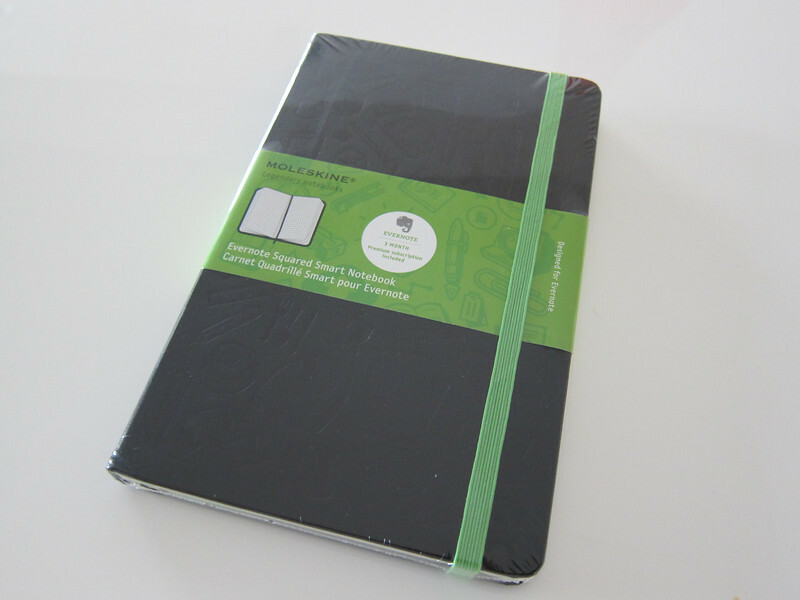 I am a huge fan of Moleskine.. fell in love with their notebooks from the first day I used them (yes.. over priced too :p).. 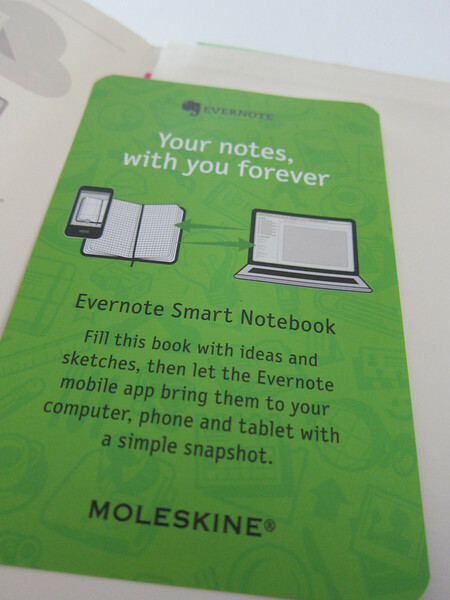 I am also quite a huge fan of Evernote… not exactly fall in love but if you have iPhone, iPad, a PC/a Mac or even an Android, the ease of sharing notes with yourself or building up a notes database is pretty slick. 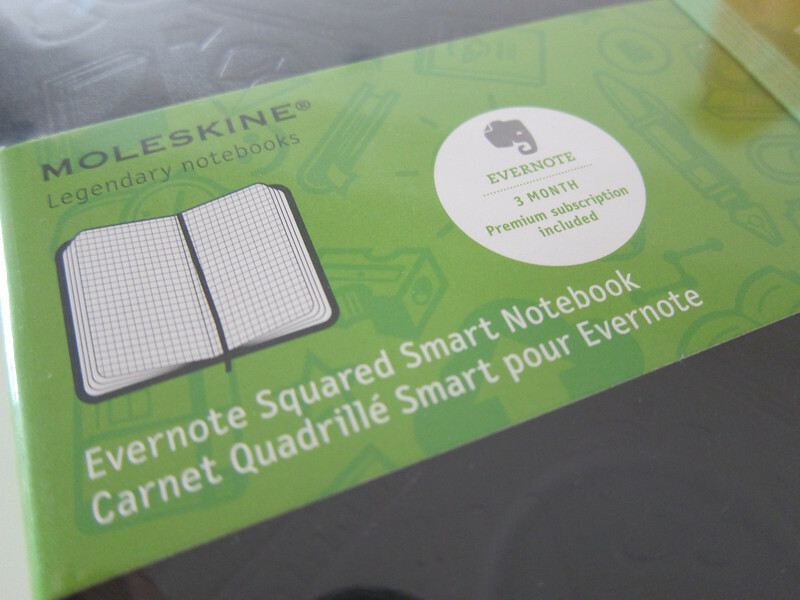 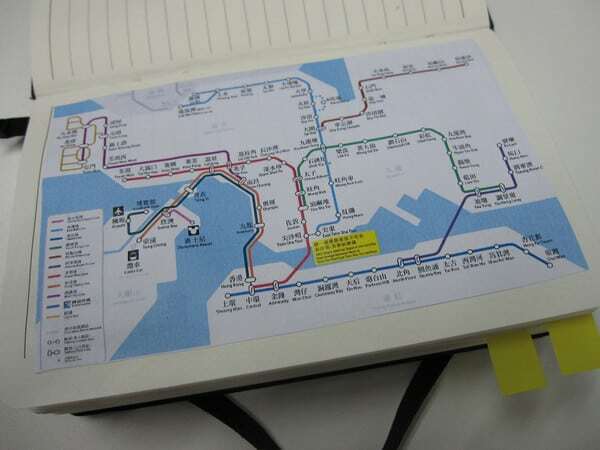 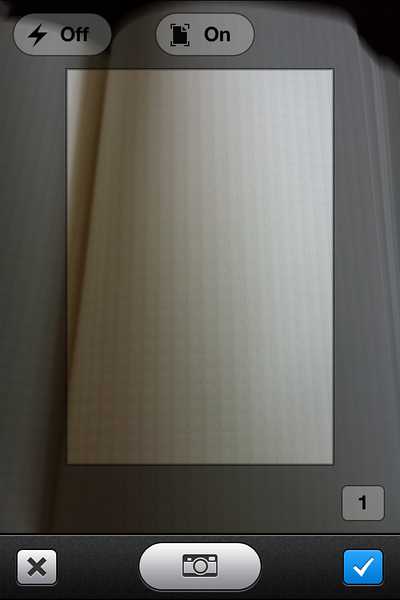 The Evernote Smart Notebook features unique ‘Evernote Ruled’ page layouts with dotted lines designed to ensure a clean image when digitally capturing your notebook. 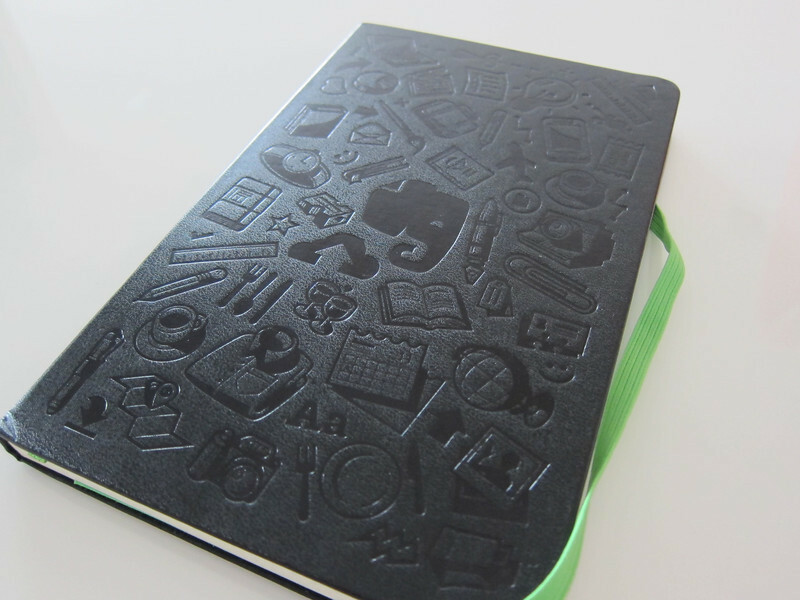 Fill this book with ideas and sketches, then let the Evernote mobile app bring them to your computer, phone and tablet with a simple snapshot. 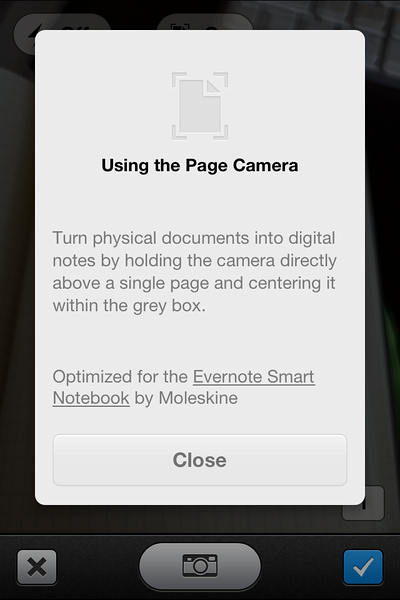 Take a photo of any page in this book with Evernote’s new Page Camera feature and it instantly becomes digital so that you can save it, search it and share it with the world. 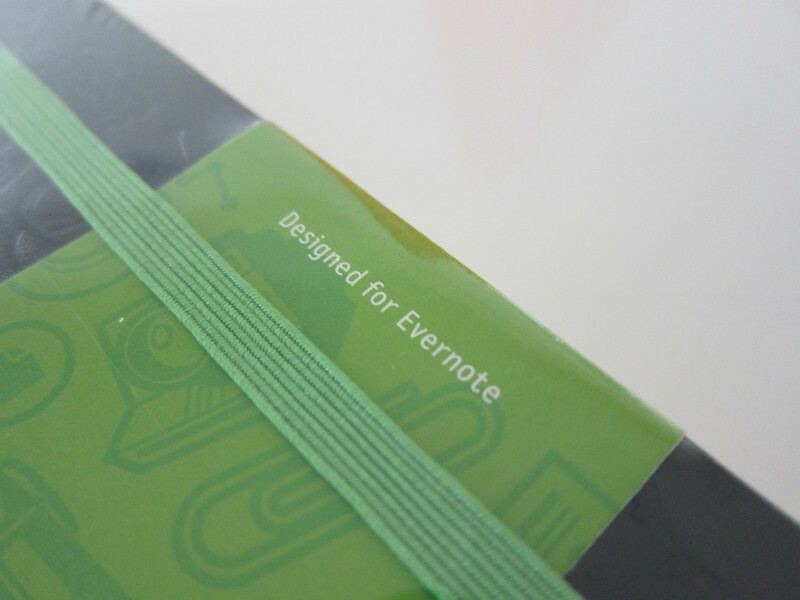 This book contains specially formatted paper, designed specifically for use with Evernote. 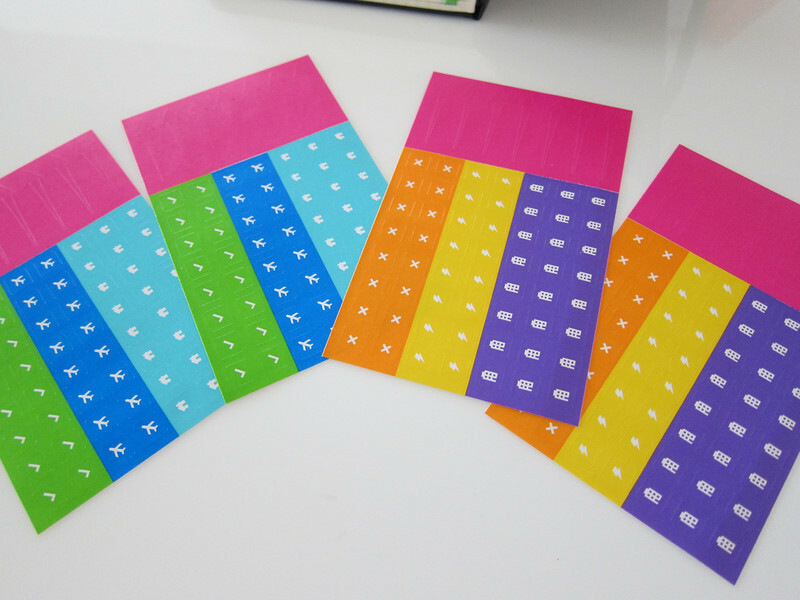 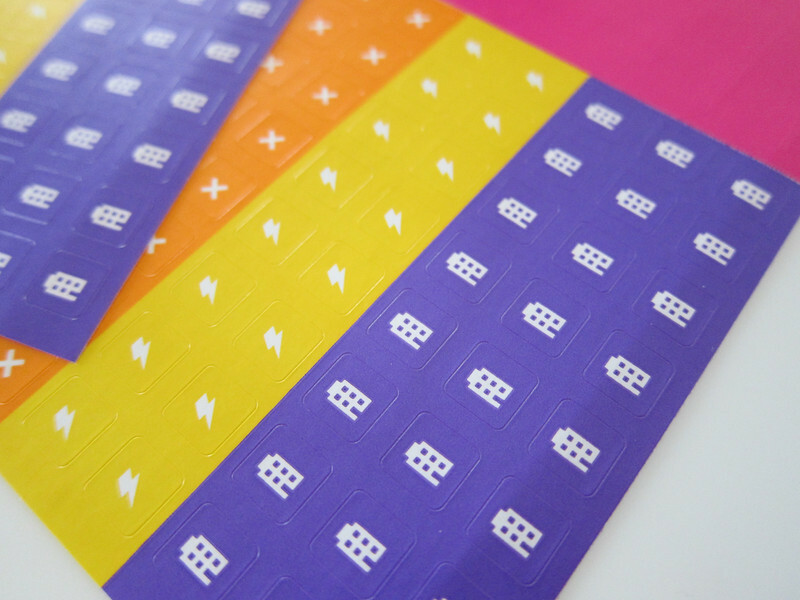 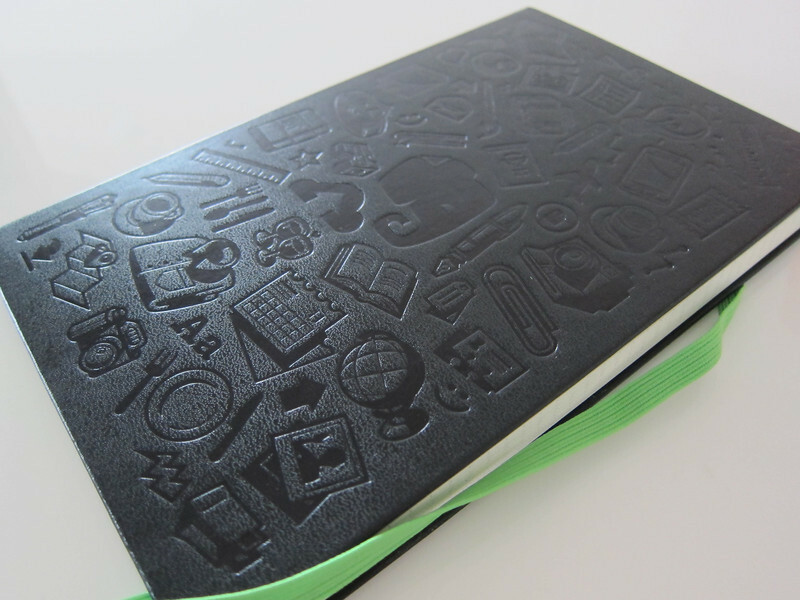 When you capture a page with Evernote, the Smart Sticker icons become searchable, digital tags that make it easy to keep your ideas organized and to keep your digital and analog workspaces synced. 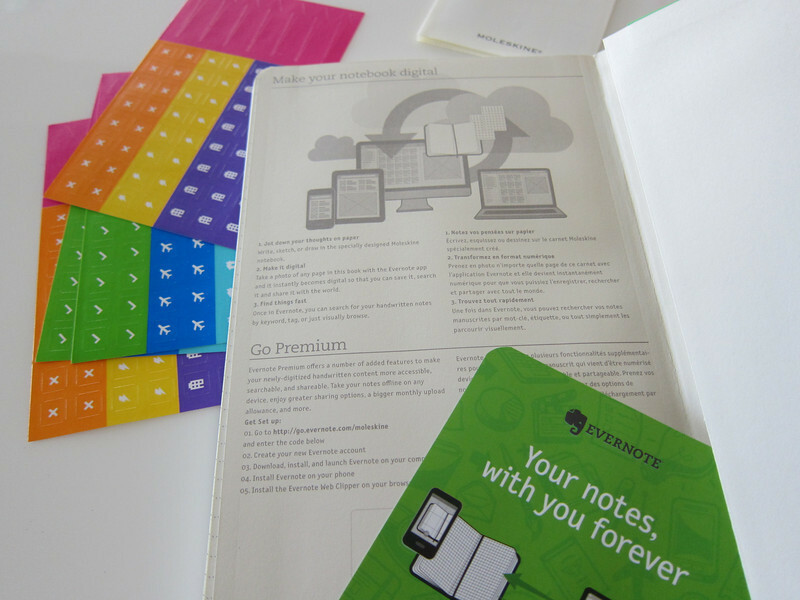 Each Evernote Smart Notebook comes with 3 months of Evernote Premium. 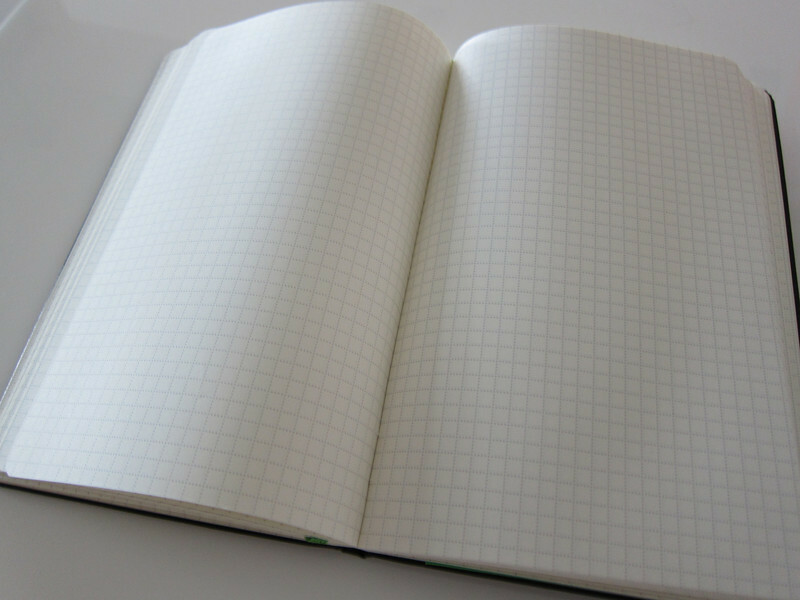 There is a code at the back of the notebook. 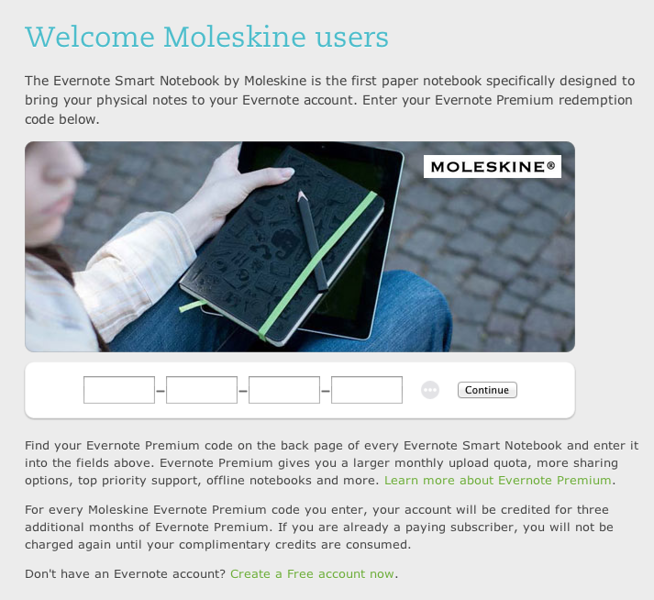 You can then go to Evernote web site to enter the code and then it can be used to either create a new Premium account or used to link to your original Premium account and hence extend your subscription by 3 months free….. 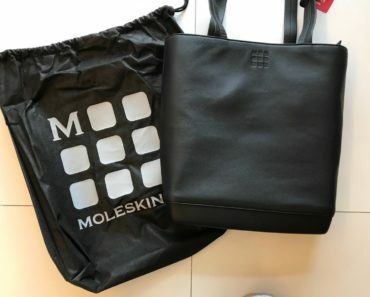 Which makes it worthwhile if you are already a premium subscriber like me….. you can imagine buying 4 for just 1 year of subscription….